As you’ve doubtless noted the meme “High-Tech Lynching” has become part of the “Mainstream” once more. Therefore it’s only proper to point out what an Actual Lynching is like. Let’s go to the Wiki. “Lynching is an extrajudicial execution carried out by a mob, often by hanging, but also by burning at the stake or shooting, in order to punish an alleged transgressor, or to intimidate, control, or otherwise manipulate a population of people. It is related to other means of social control that arise in communities, such as charivari, riding the rail, and tarring and feathering. Lynchings have been more frequent in times of social and economic tension, and have often been the means used by the politically dominant population to oppress social challengers. But this is not a practice entirely consinged to history as witness by the lynching of James Byrd Jr.
“an African-American who was murdered by three white men, asserted to be white supremacists, during a racially motivated crime in Jasper, Texas, on June 7, 1998. Shawn Berry, Lawrence Brewer, and John King dragged Byrd behind a pick-up truck along an asphalt road after they wrapped a heavy logging chain around his ankles. Byrd was pulled along for about three miles as the truck swerved from side to side. Byrd, who remained conscious throughout most of the ordeal, was killed when his body hit the edge of a culvert, severing his right arm and head. The murderers drove on for another mile before dumping his torso in front of an African-American cemetery in Jasper. 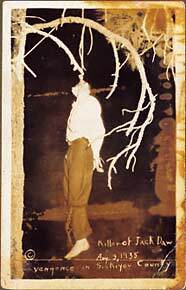 Byrd’s lynching-by-dragging gave impetus to passage of a Texas hate crimes law. It later led to the federal October 22, 2009 Matthew Shepard and James Byrd, Jr. Hate Crimes Prevention Act, commonly known as the Matthew Shepard Act. President Barack Obama signed the bill into law on October 28, 2009. Lawrence Brewer was executed by lethal injection for this crime by the state of Texas on September 21, 2011. 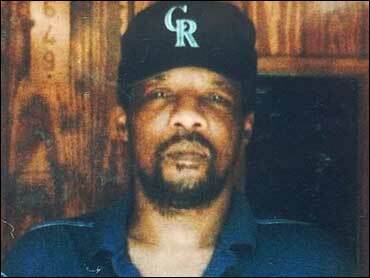 King remains on Texas’ death row while appeals are pending, while Berry was sentenced to life imprisonment. “Herman Cain’s stump speech starts out talking about a nation in crisis. Now he has a campaign in one. Responding to reports about his history of sexual harassment claims, he has offered conflicting and confusing stories. The candidate known for his simplicity has fallen into lawyerly hairsplitting. for reasons which Dickerson like all “Mianstream” cogs continues to obfuscate. Yeah right. That remark about Hill’s pubic hairs being found on his Coke can had totally slipped Clarence’s mind. “Cain was given 10 days to respond to questions about the matter before it was made public. Politico wasn’t fishing—tell us anything wrong you’ve ever done—it was asking questions about a specific legal matter. Unlike Thomas, Cain wasn’t responding to a new accusation; he was being asked for his position on an issue that had already been investigated and resolved. Checks had been cut, even. Taking Cain at his word, perhaps he was only vaguely familiar with the issue when he was first asked about it. But he has a quick memory. In the 24 hours after the Politico story was published, he had a series of detailed recollections. Obviously we don’t know yet. There’s more than one woman who filed a complaint against Cain. Oh really? Any complaints filed against Obama we haven’t been informed of? You don’t say. The “Normal Process” would be to pay off the offended party — as Cain did. Actually it’s made it more entertaining — as witnessed by Ann Coulter’s revival of slavery. IOW, she’s got Herman on a short leash. And we all know what would happen should he get off it. “Cain was the first rival to criticize him (and Cain, in turn, was criticized for his criticism). That Perry story wasn’t as solid as the one about Cain that he’s now denouncing, and over which conservatives are displaying such umbrage. Running in circles is more like it. Like the tiger in that story we all doubtless recall.